The real winter may be over, but for Game of Thrones fans, winter has just begun. 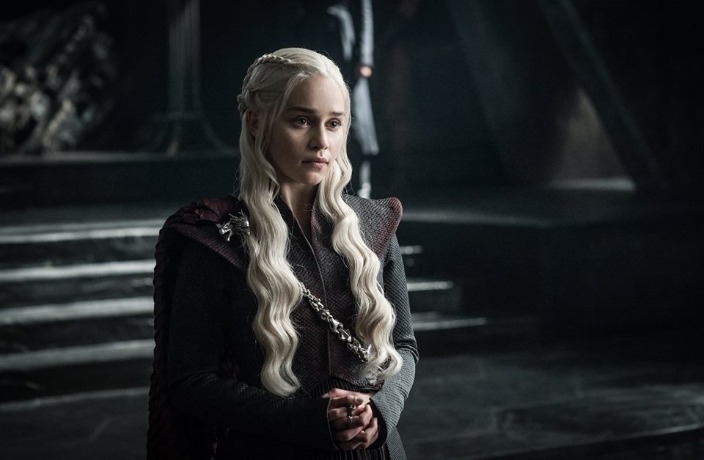 The eighth and final season will hit HBO this Sunday, April 14, which means Beijingers will be able to tune in on Monday, April 15. Don't have a TV (yes, that's a strict requirement – watching on your phone is unacceptable and sad) or an HBO Go account? No worries. Bars and restaurants around the city are hosting viewing parties for the long-awaited occasion, and we've put together a handy guide on where to watch all the action right here. Want to be the first to know what happens in the first episode of the final season of Game of Thrones? Queenie's is throwing not one, but two special GoT viewing parties in one day, the first at 9am live. They're even launching their new American breakfast deal for the special occasion. At 8pm, a second screening will take place. Sit in the corner and watch others' expressions of sheer horror. Mon Apr 15, 9am & 8pm; Queenie's, see event listing. Caravan is offering two viewing sessions this coming Monday and each one after. Stop by at 9am if you just can't wait to see the new episodes live, or at 9pm for an evening session with friends. The restaurant is demonstrating their love for the show by featuring the Game of Thrones Blonde Ale (in a special mug) and new themed menu items, like the 'Red Wedding Meat Pie' and the 'Castle Black Bowl. Mon Apr 15, 9am & 9pm; Caravan, see event listing. At the Great Outdoors, the fun starts at 8pm, when you'll have the chance to look back at the last episode of the seventh season. At 9pm, get ready for the brand new episodes, that will be screened every Monday. Also, register for the GoT pool to bet on who survives and who doesn't in this emotional rollercoaster of a TV series. Add their WeChat (18664680276) and sign up before April 14. Mon Apr 15, 8pm; The Great Outdoors, see event listing. The final season is a big deal at Side Street: They'll have a buy-one-get-one-free deal on burgers with the purchase of an alcoholic drink between 6-9pm, plus a special price for Slow Boat's Monkey's Fist IPA (RMB35). Mon Apr 15, 9pm; Side Street, see event listing. 3 Little Pigs will have the official GoT Blonde Ale on tap and a special deal: 2 pints for RMB100. Make sure to reserve a spot by messaging WeChat: andy706588. Q Mex's viewing party will start off with the season 7 finale to freshen up your memory before diving deep into the new season. To make it all better, Taqueria is slashing prices on suds and snacks: Burritos are half price, with margaritas at RMB45 and Coronas at RMB25. You can even win free margarita pitchers with their Game of Thrones-themed quiz! Mon Apr 15, 8.45pm; Q Mex Taqueria, see event listing. After screening the last season, Anchor Bar is all caught up for the finale. Watch the new season together with your fellow fans at the bar, where they'll broadcast a new episode every Monday night. You'll have all the drinks and snacks you need - and let's be honest, you'll need them to cope with the stress. Mon Apr 15, 8.30pm; Anchor Bar, see event listing. Mon Apr 15, 8pm; The Local Bar & Grill, see event listing. For those of you who live in the mysterious area of Chaoyang – or if you just had enough of Sanlitun, 12 Knights is organizing a GoT viewing party with beer deals in collaboration with Stone Brewing. Buy three of their craft brews and you'll get one free. Mon Apr 15, 9pm; 12 Knights, see event listing. For those of you that can wait (and have the will power not to read spoilers online) or are just up for another viewing, Paddy O'Shea's will be screening the episodes every Tuesday night at 8pm. At 4corners they're spicing up the traditional viewing party and adding a special GoT-themed trivia night on Tuesdays. After five rounds of questions from the book and TV show that will test your proficiency in Valyrian (not really, but maybe), you'll have the chance to win big prizes like a bottle of booze, plus a RMB300 bar voucher for the winner, and a bucket of beer and special 'encouragement awards' for the runner-ups. Trivia starts at 8:30pm with the episode viewings at 10.30pm. Tue Apr 16, 8.30pm; 4corners, see event listing. Have an event to list? Head here to list your upcoming event. Not sure where to start? Here's a full guide on how to list your upcoming events on our website. Sometimes there's just no better way to kick back and relax than by playing some action-packed video games. Looking to score tickets to see the Boston Bruins and Calgary Flames duke it out in Beijing? We're giving away two pairs of tickets to next Wednesday's game. It's hockey night in the PRC! Playerunknown's Battlegrounds pits 100 players against each other in a trigger-happy virtual death-dance on a post-apocalyptic island. We caught up with Developer ahead of this month's set at Lantern. Sign up for the That's Beijing newsletter for your chance to win two tickets to see the legendary house DJ at Migas on May 12. Is Shanghai Disney a Game Changer? Authentically Disney, Distinctly Chinese: Mickey Mouse makes his move in Shanghai. Sign up for That's Beijing's weekly newsletter for a chance to win tickets to a screening of the documentary.